ReachOption is based on a patent pending method developed over 7 years. 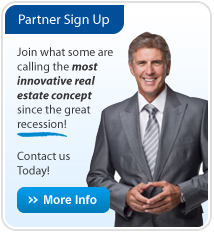 It provides an innovative method to fund real estate for home owners. Currently the ReachOption contracts are funded by the founders and individual investors who are interested in a socially responsible investment vehicle with potential for a high return. The ReachOption concept is owned by NexGenA LLC. All information about this innovative concept is proprietary and confidential. Please contact us to find out more about this investment opportunity. REACH Fund is available to sophisticated individuals & institutional investors who are interested in an innovative real estate investment. Please contact us to obtain a password to access the Investor pages of this web site.